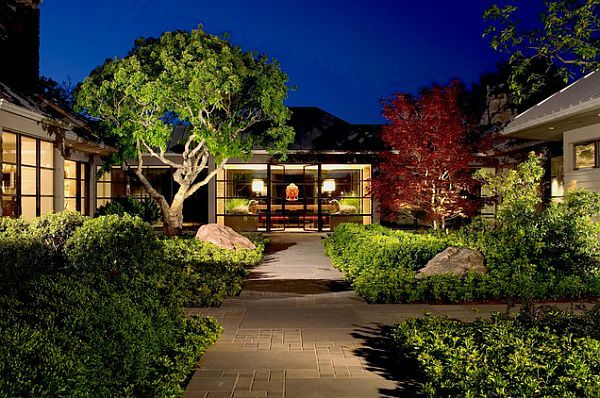 Lamps for the garden are surely not among the priorities when designing your dream home. 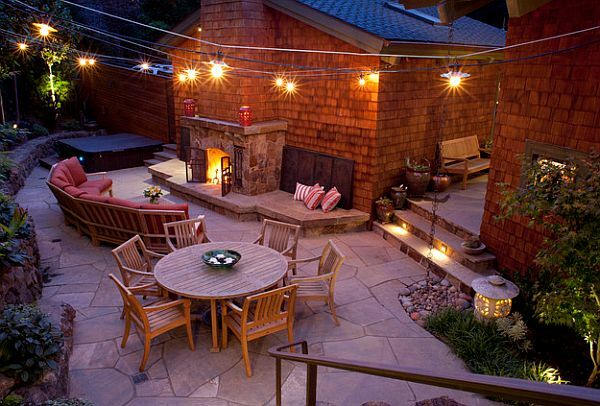 However, as opposed to indoor lamps, outdoor ones are very easy to plan and install later on. 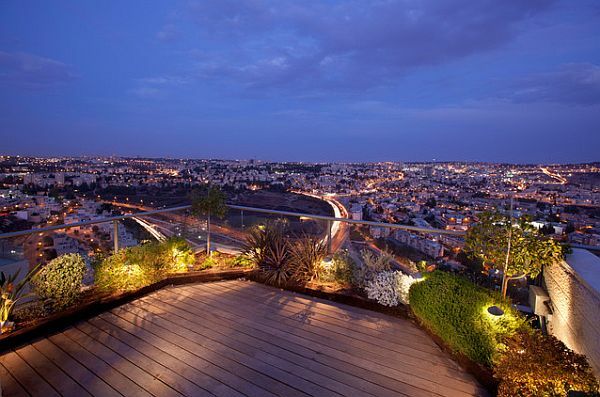 You don’t need to demolish any walls or alter any existing scheme to add outdoor lighting to your home. 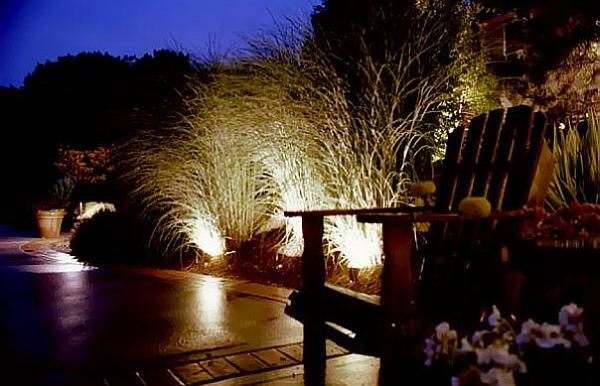 All you need to do is a little research on what types of outdoor lamps there are. 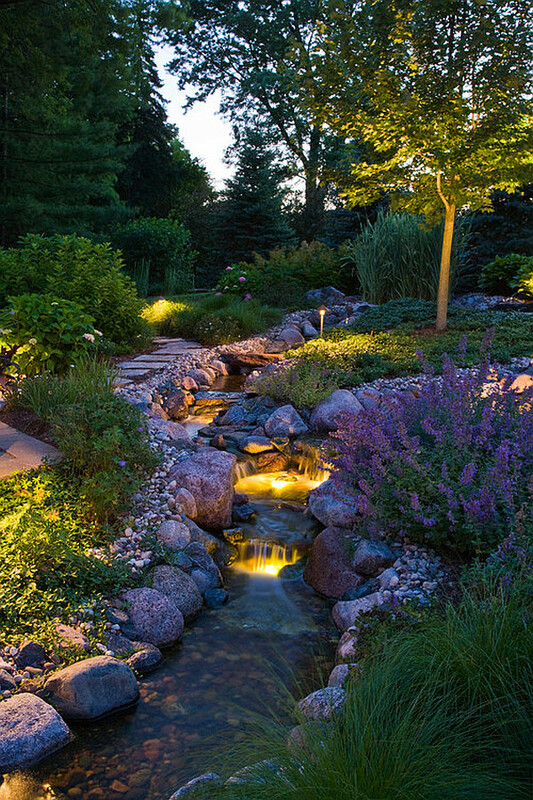 Here are some lighting guidelines for a stunning garden. 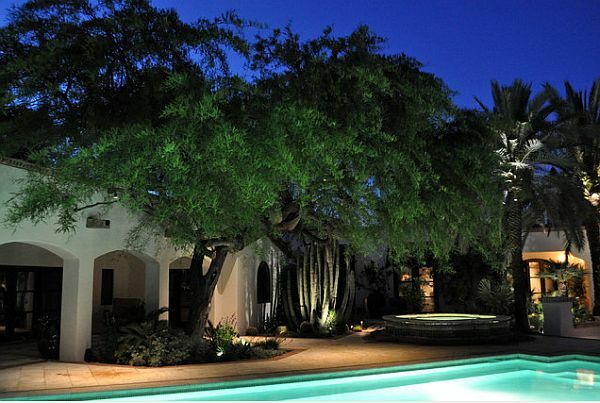 The first thing you need is orientation light to guide you from the courtyard entrance to the front door of your home. 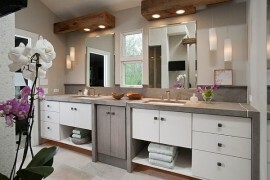 It is a practical aspect, but you do not have to resort to impersonal, industrial type lighting. 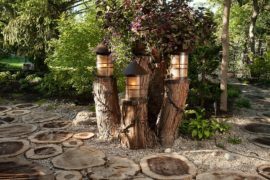 There are many lamp models that can attribute your garden just as much personality as designer lamps in your living room. by Rugo/ Raff Ltd. Architects / Photo by Charlie Mayer. 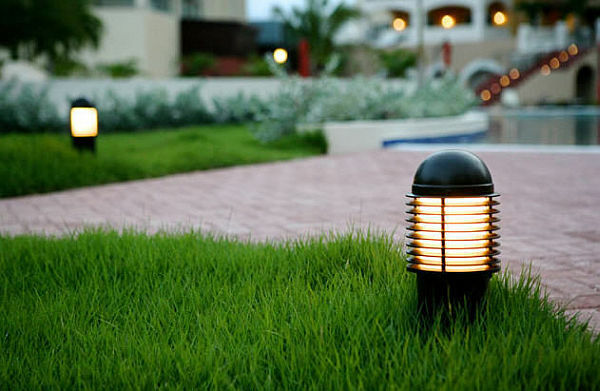 For the orientation light that accompanies you to the front door, you can pick bollard lamps, which are usually up to 1 meter high and are built on the ground. If you want a special design, you have to make a bit of specialized research, since most providers supply standard, kind of industrial bollard lamps. But trust me, there are vivid and beautiful options to find. 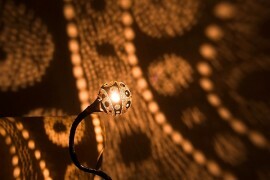 Or if you prefer vintage, you can also go with torchiere-style lamps from wrought iron. 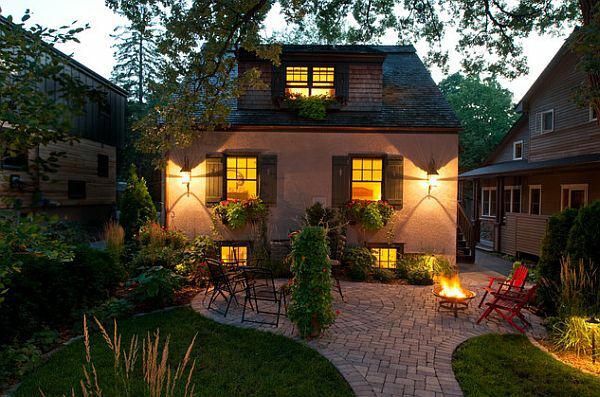 If your alley through the garden is close to the house, like in most cases, you can accompany the walk with wall appliqués or wall lamps built on the house wall. 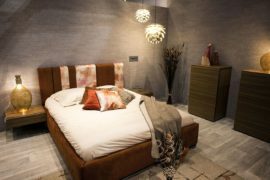 There are many options to use here, from more classical lamps with lampshades to very minimalistic and modern wall appliqués with simple and attractive geometries. 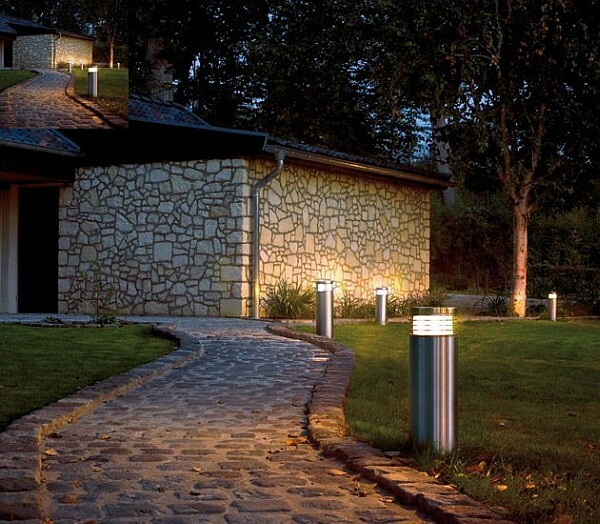 You can also combine a bollard light, serving as actual orientation light with rather decorative wall appliqués with up- and downlight, which only cast their shine effect upon the wall surface. 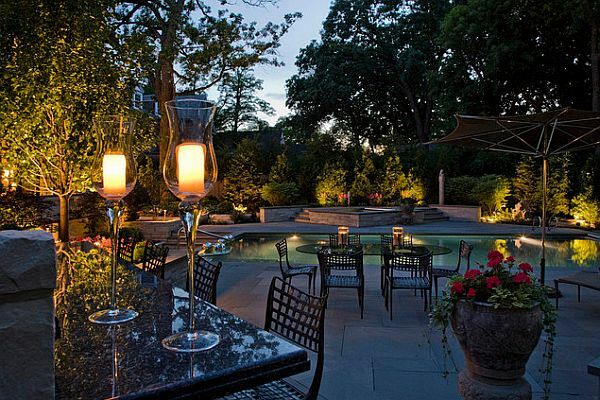 These wall lamps are also effective on an outdoor terrace, for your patio. 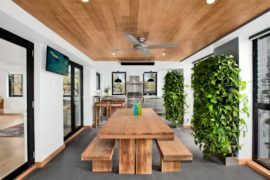 If you have an ‘outdoor living room’ kind of terrace, you can use a sturdy pendant lamp over the table, which does not need to be waterproof if you have a cover for this area (for instance under a balcony). 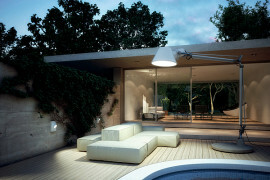 Standing floor lamps, which have dimmers, are also appropriate in this area meant for conversation and relaxation. 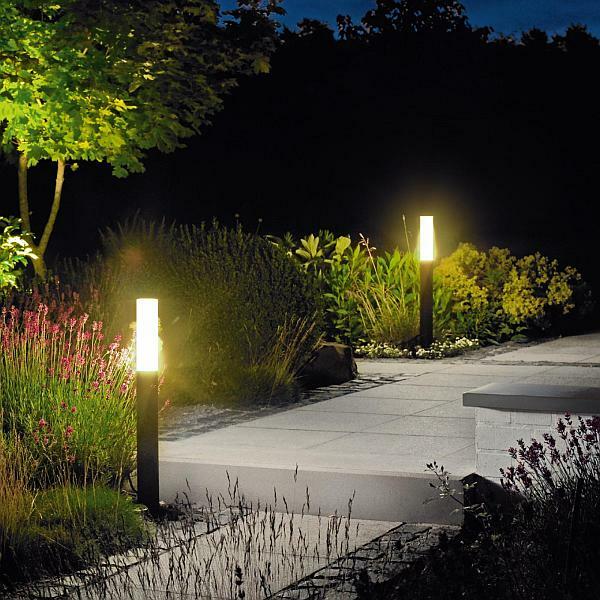 If your garden includes a small pond, you can install small bollard lamps on the shore, or, even better, ball-or blob shaped lamps that lie directly on the ground, like glowing rocks. All the lamps used in this area have to be waterproof. 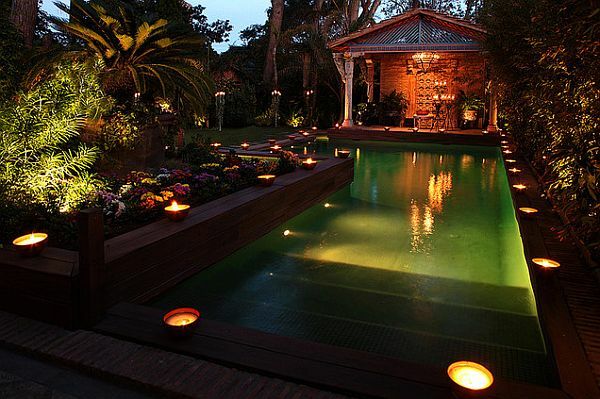 Some companies have also designed floating lamps for garden ponds, in various shapes. 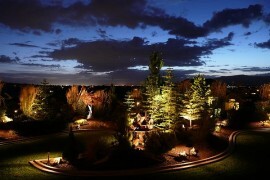 They are very special accessories you’re your garden and create a beautiful, dreamy atmosphere. 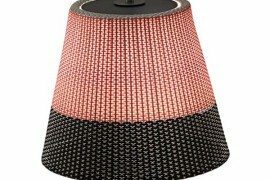 Small floor lamps are also suited among your flower arrangements, in the shapes of glowing rocks or long, flexible, glowing LED-tubes. 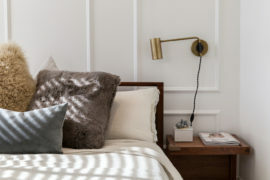 Last but not least, if you have trees in your garden, install Japanese-style pendant lamps or round pendant lamps to hang from the branches for a festive and magical garden.